You promise to look into the matter. But you think he’s paid too much anyway and you procrastinate. He raises the matter again, and again. It’s starting to irritate you. 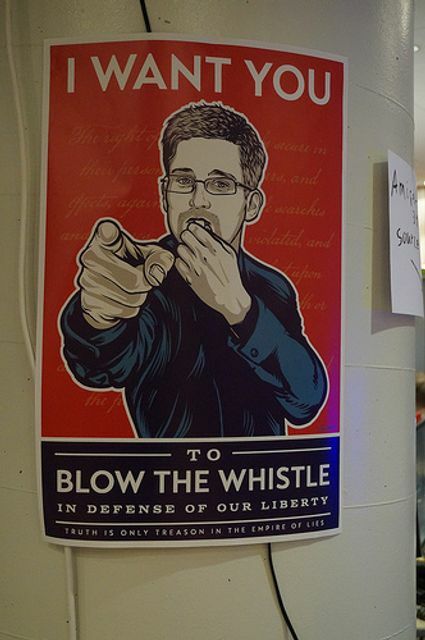 He then raises the stakes, saying this is whistleblowing and that you really should take this seriously. The matter escalates. The employee becomes more focused on this issue, you feel harassed and eventually you dismiss him for the way he’s handled the matter. As you may be aware, if an employee is dismissed because they’ve made a “protected disclosure”, e.g. a disclosure showing that there has been a criminal offence, that dismissal is automatically unfair – unlike other unfair dismissals, the employee doesn’t need two years’ employment to bring a claim and damages are not artificially capped. However, for the disclosure to be protected it has to be in the “public interest”. What does that mean? Is the disclosure in this fictitious scenario protected, assuming his principal motivation was simply to protect his own earnings? That was the issue in a recent judgment by the Court of Appeal, Chestertons v Nurmohamed. And the answer is that it doesn’t matter if the employee’s main motive is their own pay – as long as others are affected and it is a matter of sufficient importance, it is in the public interest. The employees doesn’t have to have articulated all the reasons for the importance of the disclosure when making it. In that case, the employee alleged financial misreporting affecting commission of about 100 employees including himself. He was successful in his claim of automatically unfair dismissal. In other recent cases, it’s been held that it doesn’t matter if the employee is incorrect in their belief of the employer’s unlawfulness of the employer’s actions and the protection doesn’t require that the employer agree that the actions are unlawful. The thrust of these cases is that you shouldn’t treat an employee badly for disclosing what they believe is wrongdoing. It concluded that the statutory test of what is “in the public interest” does not lend itself to absolute rules and the employment tribunal should take a number of factors into account. These factors include the numbers of employees involved and the importance of the interest affected.